Grammy nominated composer and DownBeat Magazine’s September 2016 Editor’s pick Jazz pianist Mehmet Ali Sanlıkol has been praised by critics all over the world for his unique, pluralist, multicultural and energetic musical voice, as both composer and performer. An active scholar, a Harvard CMES fellow (2013-15) and multi-instrumentalist, Sanlıkol, who hails from Cyprus and Turkey, is currently a faculty member at New England Conservatory’s Music History/Musicology Department and is co-director of New England Conservatory’s Intercultural Institute. Mehmet composed for, performed and toured with international stars and ensembles such as Anat Cohen, Dave Liebman, Tiger Okoshi, Antonio Sanchez, Bob Brookmeyer, Esperanza Spalding, Erkan Oğur, Brenna MacCrimmon, The Boston Camerata and American Composers Orchestra at numerous prestigious International Music Festivals and venues such as Carnegie Hall and the Blue Note Jazz club in New York. Sanlıkol actively delivers papers and talks at academic conferences such as International Conference on Analytical Approaches to World Music, Society for Ethnomusicology and Sohbet-i Osmaniye series at Harvard University’s Center for Middle Eastern Studies. His book, entitled The Musician Mehters, about the organization and the music of the Ottoman Janissary Bands has been published during 2011 in English by The ISIS press and in Turkish by Yapı Kredi Yayınları. For more information on Mr. Sanlıkol please visit his personal website. 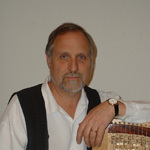 Robert Labaree is an ethnomusicologist specializing in Turkish music and medieval European music. As a founding member of the EurAsia Ensemble since 1980, he has performed and taught Turkish classical music across the US. Beginning in 1985, Labaree collaborated with the instrument-maker Feridun Özgören to create a contemporary version of the Ottoman harp, çeng which disappeared from Turkish classical, folk, and religious music in early 18th century. His recordings with EurAsia Ensemble include Eski Dünya ile Sohbetler (Conversations with the Old World), Istanbul on the Charles, and Boston Sema. His solo CD Çengnağme appeared in Turkey in 2001 on the Kalan label. He has been a member of New England Conservatory’s Music History faculty since 1984, teaching a wide range of western and non-western repertoires, and is co-director of New England Conservatory’s Intercultural Institute, which he established in 1993. Serap Kantarcı got her B. 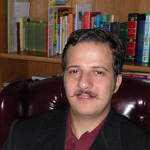 A. degree in International Relations and American Literature from Bilkent University in 1994. In the year 1997 she got her Master’s degree in Public Administration from Ankara University Political Science Department (Mülkiye). Between the years of 1994 and 1997 she also worked as a political consultant in the Turkish Parliament and served on the International Affairs committee. She came to Boston in 1998 and won a scholarship in order to pursue her studies further at Suffolk University’s Political Science department. She got her second Master’s degree from Suffolk in 2000. During her studies Serap worked as a legislative intern at the Massachusetts State Senate. Starting in the year 2000 Serap started working at Harvard Business School as the Executive Education Program Coordinator. Most recently Serap got a third Master’s degree in Mental Health Counseling from UMass Boston. 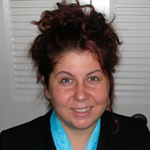 Currently Serap is a mental health clinician working for Family Services of Greater Boston. In addition, she has been teaching language and grammar courses to adult classes at Orhan Gündüz Memorial School at MIT.